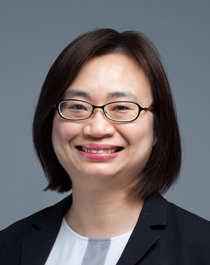 Adjunct Associate Professor Ewe See Hooi is a Senior Consultant with the Department of Cardiology and Co-Director of Echocardiography at the National Heart Centre Singapore. Her sub-specialty interest is in echocardiography and multimodality cardiac imaging in structural and valvular heart diseases. Adj Assoc Prof Ewe graduated with her Bachelor of Medicine and Surgery from the University of Sydney in 2001. She subsequently obtained the Membership of Royal College of Physicians (UK) in 2005 and the Certificate of Specialist Accreditation in Cardiology in 2009. Adj Assoc Prof Ewe completed her 2 years of fellowship in Leiden University Medical Centre, The Netherlands, where she learnt and applied advanced techniques of cardiac imaging in various heart conditions. In addition, she has a special interest in multimodality imaging in the area of structural heart intervention, particularly in the emerging catheter-based therapies for valvular diseases. In recognition of her research achievements, she obtained her PhD dissertation from the University of Leiden in 2016. Percutaneous transcatheter aortic valve implantation for degenerated surgical bioprostheses: the first case series in Asia with one-year follow-up. Chiam PT, Ewe SH, Soon JL, Ho KW, Sin YK, Tan SY, Lim ST, Koh TH and Chua YL. Singapore Med J. 2016;57:401-5. The expanding indications of transcatheter aortic valve implantation. Chiam PT and Ewe SH. Future Cardiol. 2016;12:209-19. Interventional echocardiography: current role and progress. Hamid N and Ewe SH. Proceedings of Singapore Healthcare. 2015;24:4-15. Detection of subtle left ventricular systolic dysfunction in patients with significant aortic regurgitation and preserved left ventricular ejection fraction: speckle tracking echocardiographic analysis. Ewe SH, Haeck ML, Ng AC, Witkowski TG, Auger D, Leong DP, Abate E, Ajmone Marsan N, Holman ER, Schalij MJ, Bax JJ and Delgado V. Eur Heart J Cardiovasc Imaging. 2015;16:992-9. Effect of aortic regurgitation following transcatheter aortic valve implantation on outcomes. Ewe SH, Muratori M, van der Kley F, Pepi M, Delgado V, Tamborini G, Fusini L, de Weger A, Gripari P, Bartorelli A, Bax JJ and Marsan NA. Am J Cardiol. 2015;115:664-9. First transcatheter aortic valve implantation for severe pure aortic regurgitation in Asia. Chiam PT, Ewe SH, Chua YL and Lim YT. Singapore Medical Journal. 2014;55:103-105. Effect of cardiac resynchronization therapy on the sequence of mechanical activation assessed by two-dimensional radial strain imaging. Auger D, Hoke U, Thijssen J, Abate E, Yiu KH, Ewe SH, Witkowski T, Leong DP, Holman ER, Marsan NA, Schalij MJ, Bax JJ and Delgado V. Am J Cardiol. 2014;113:982-7. Feasibility of transcatheter aortic valve implantation in systemic lupus erythematosus associated non-calcific aortic stenosis. Krupa J, Chiam PTL, Chua YL and Ewe SH. European Heart Journal. 2014;35:1624-1624. Multidetector row computed tomography parameters associated with paravalvular regurgitation after transcatheter aortic valve implantation. Katsanos S, Ewe SH, Debonnaire P, van der Kley F, de Weger A, Palmen M, Scholte AJ, Schalij MJ, Bax JJ, Marsan NA and Delgado V. Am J Cardiol. 2013;112:1800-6. An update on complications associated with transcatheter aortic valve implantation: stroke, paravalvular leak, atrioventricular block and perforation. Chiam PT and Ewe SH. Future Cardiol. 2013;9:733-47. Accuracy of three-dimensional versus two-dimensional echocardiography for quantification of aortic regurgitation and validation by three-dimensional three-directional velocity-encoded magnetic resonance imaging. Ewe SH, Delgado V, van der Geest R, Westenberg JJ, Haeck ML, Witkowski TG, Auger D, Marsan NA, Holman ER, de Roos A, Schalij MJ, Bax JJ, Sieders A and Siebelink HM. Am J Cardiol. 2013;112:560-6. Asia's first successful minimally invasive transapical transcatheter mitral valve-in-valve implantation. Soon JL, Chua YL, Chao VT, Chiam PT, Ewe SH, Seetho VY, Lee CY, Tan SY, Koh TH and Sin YK. Ann Acad Med Singapore. 2013;42:85-7. Late calcineurin inhibitor withdrawal prevents progressive left ventricular diastolic dysfunction in renal transplant recipients. Mourer JS, Ewe SH, Mallat MJ, Ng AC, Rabelink TJ, Bax JJ, Delgado V and de Fijter JW. Transplantation. 2012;94:721-8. Global longitudinal strain predicts left ventricular dysfunction after mitral valve repair. Witkowski TG, Thomas JD, Debonnaire PJ, Delgado V, Hoke U, Ewe SH, Versteegh MI, Holman ER, Schalij MJ, Bax JJ, Klautz RJ and Marsan NA. Eur Heart J Cardiovasc Imaging. 2013;14:69-76. Intraoperative 2D and 3D transoesophageal echocardiographic predictors of aortic regurgitation after transcatheter aortic valve implantation. Gripari P, Ewe SH, Fusini L, Muratori M, Ng AC, Cefalu C, Delgado V, Schalij MJ, Bax JJ, Marsan NA, Tamborini G and Pepi M. Heart. 2012;98:1229-36. Myocardial structural alteration and systolic dysfunction in preclinical hypertrophic cardiomyopathy mutation carriers. Yiu KH, Atsma DE, Delgado V, Ng AC, Witkowski TG, Ewe SH, Auger D, Holman ER, van Mil AM, Breuning MH, Tse HF, Bax JJ, Schalij MJ and Marsan NA. PLoS One. 2012;7:e36115. Iliofemoral anatomy among Asians: implications for transcatheter aortic valve implantation. Chiam PT, Koh AS, Ewe SH, Sin YK, Chao VT, Ng CK, Lee CY, Lim YP, Su JW, Lim SL, Tan TE, Lim CH, Tan SY, Lim ST, Chua TS, Koh TH and Chua YL. Int J Cardiol. 2013;167:1373-9. Imaging and quantification of aortic regurgitation after TAVI. Ewe SH, Delgado V and Bax JJ. EuroIntervention. 2012;8 Suppl Q:Q21-30. Global longitudinal strain predicts long-term survival in patients with chronic ischemic cardiomyopathy. Bertini M, Ng AC, Antoni ML, Nucifora G, Ewe SH, Auger D, Marsan NA, Schalij MJ, Bax JJ and Delgado V. Circ Cardiovasc Imaging. 2012;5:383-91. Changes in left ventricular function after mitral valve repair for severe organic mitral regurgitation. Witkowski TG, Thomas JD, Delgado V, van Rijnsoever E, Ng AC, Hoke U, Ewe SH, Auger D, Yiu KH, Holman ER, Klautz RJ, Schalij MJ, Bax JJ and Marsan NA. Ann Thorac Surg. 2012;93:754-60. Effect of cardiac resynchronization therapy in patients without left intraventricular dyssynchrony. Auger D, Bleeker GB, Bertini M, Ewe SH, van Bommel RJ, Witkowski TG, Ng AC, van Erven L, Schalij MJ, Bax JJ and Delgado V. Eur Heart J. 2012;33:913-20. Isolated posterior mitral leaflet cleft resembling trileaflet valve. Vignalou JB, Ewe SH, Schalij MJ, Bax JJ and Delgado V. Eur Heart J Cardiovasc Imaging. 2012;13:535. Changes in heart valve structure and function in patients treated with dopamine agonists for prolactinomas, a 2-year follow-up study. Delgado V, Biermasz NR, van Thiel SW, Ewe SH, Marsan NA, Holman ER, Feelders RA, Smit JW, Bax JJ and Pereira AM. Clin Endocrinol (Oxf). 2012;77:99-105. Hemodynamic and clinical impact of prosthesis-patient mismatch after transcatheter aortic valve implantation. Ewe SH, Muratori M, Delgado V, Pepi M, Tamborini G, Fusini L, Klautz RJ, Gripari P, Bax JJ, Fusari M, Schalij MJ and Marsan NA. J Am Coll Cardiol. 2011;58:1910-8. Prevalence of dyssynchrony and relation with long-term outcome in patients after acute myocardial infarction. Antoni ML, Boden H, Hoogslag GE, Ewe SH, Auger D, Holman ER, van der Wall EE, Schalij MJ, Bax JJ and Delgado V. Am J Cardiol. 2011;108:1689-96. Location and severity of aortic valve calcium and implications for aortic regurgitation after transcatheter aortic valve implantation. Ewe SH, Ng AC, Schuijf JD, van der Kley F, Colli A, Palmen M, de Weger A, Marsan NA, Holman ER, de Roos A, Schalij MJ, Bax JJ and Delgado V. Am J Cardiol. 2011;108:1470-7. Influence of left ventricular geometry and function on aortic annular dimensions as assessed with multi-detector row computed tomography: implications for transcatheter aortic valve implantation. Ng ACT, Yiu K-H, Ewe SH, van der Kley F, Bertini M, de Weger A, de Roos A, Leung DY, Schuijf JD, Schalij MJ, Bax JJ and Delgado V. European Heart Journal. 2011;32:2806-2813. Prediction of response to cardiac resynchronization therapy combining two different three-dimensional analyses of left ventricular dyssynchrony. Auger D, Bertini M, Marsan NA, Hoke U, Ewe SH, Thijssen J, Witkowski TG, Yiu KH, Ng AC, van der Wall EE, Schalij MJ, Bax JJ and Delgado V. Am J Cardiol. 2011;108:711-7. Outcomes after transcatheter aortic valve implantation: transfemoral versus transapical approach. Ewe SH, Delgado V, Ng AC, Antoni ML, van der Kley F, Marsan NA, de Weger A, Tavilla G, Holman ER, Schalij MJ and Bax JJ. Ann Thorac Surg. 2011;92:1244-51. Alterations in multidirectional myocardial functions in patients with aortic stenosis and preserved ejection fraction: a two-dimensional speckle tracking analysis. Ng AC, Delgado V, Bertini M, Antoni ML, van Bommel RJ, van Rijnsoever EP, van der Kley F, Ewe SH, Witkowski T, Auger D, Nucifora G, Schuijf JD, Poldermans D, Leung DY, Schalij MJ and Bax JJ. Eur Heart J. 2011;32:1542-50. Both exogenous subclinical hyperthyroidism and short-term overt hypothyroidism affect myocardial strain in patients with differentiated thyroid carcinoma. Abdulrahman RM, Delgado V, Hoftijzer HC, Ng AC, Ewe SH, Marsan NA, Holman ER, Hovens GC, Corssmit EP, Romijn JA, Bax JJ and Smit JW. Thyroid. 2011;21:471-6. Surgical ventricular restoration for patients with ischemic heart failure: determinants of two-year survival. Witkowski TG, ten Brinke EA, Delgado V, Ng AC, Bertini M, Marsan NA, Ewe SH, Auger D, Yiu KH, Braun J, Klein P, Steendijk P, Versteegh MI, Klautz RJ and Bax JJ. Ann Thorac Surg. 2011;91:491-8. Selecting patients for transcatheter aortic valve implantation. Yiu KH, Ewe SH, Klautz RJ, Schalij MJ, Bax JJ and Delgado V. Interv Cardiol. 2011;3:347-358. Role of computed tomography imaging for transcatheter valvular repair/insertion. Ewe SH, Klautz RJ, Schalij MJ and Delgado V. Int J Cardiovasc Imaging. 2011;27:1179-93. Myocardial steatosis and biventricular strain and strain rate imaging in patients with type 2 diabetes mellitus. Ng AC, Delgado V, Bertini M, van der Meer RW, Rijzewijk LJ, Ewe SH, Siebelink HM, Smit JW, Diamant M, Romijn JA, de Roos A, Leung DY, Lamb HJ and Bax JJ. Circulation. 2010;122:2538-44. First-in-man implantation of a trans-catheter aortic valve in a mitral annuloplasty ring: novel treatment modality for failed mitral valve repair. de Weger A, Ewe SH, Delgado V and Bax JJ. Eur J Cardiothorac Surg. 2011;39:1054-6. Impact of left ventricular systolic function on clinical and echocardiographic outcomes following transcatheter aortic valve implantation for severe aortic stenosis. Ewe SH, Ajmone Marsan N, Pepi M, Delgado V, Tamborini G, Muratori M, Ng AC, van der Kley F, de Weger A, Schalij MJ, Fusari M, Biglioli P and Bax JJ. Am Heart J. 2010;160:1113-20. Predictors of death and occurrence of appropriate implantable defibrillator therapies in patients with ischemic cardiomyopathy. Ng AC, Bertini M, Borleffs CJ, Delgado V, Boersma E, Piers SR, Thijssen J, Nucifora G, Shanks M, Ewe SH, Biffi M, van de Veire NR, Leung DY, Schalij MJ and Bax JJ. Am J Cardiol. 2010;106:1566-73. Prevalence and characteristics of patients with clinical improvement but not significant left ventricular reverse remodeling after cardiac resynchronization therapy. Auger D, van Bommel RJ, Bertini M, Delgado V, Ng AC, Ewe SH, Shanks M, Marsan NA, Mooyaart EA, Witkowski T, Poldermans D, Schalij MJ and Bax JJ. Am Heart J. 2010;160:737-743. Longitudinal mechanics of the periinfarct zone and ventricular tachycardia inducibility in patients with chronic ischemic cardiomyopathy. Bertini M, Ng AC, Borleffs CJ, Delgado V, Wijnmaalen AP, Nucifora G, Ewe SH, Shanks M, Thijssen J, Zeppenfeld K, Biffi M, Leung DY, Schalij MJ and Bax JJ. Am Heart J. 2010;160:729-736. Effect of cardiac resynchronization therapy on subendo- and subepicardial left ventricular twist mechanics and relation to favorable outcome. Bertini M, Delgado V, Nucifora G, Marsan NA, Ng AC, Shanks M, Van Bommel RJ, Borleffs CJ, Ewe SH, Boriani G, Biffi M, Schalij MJ and Bax JJ. Am J Cardiol. 2010;106:682-7. Multimodality imaging in transcatheter aortic valve implantation: key steps to assess procedural feasibility. Delgado V, Ewe SH, Ng AC, van der Kley F, Marsan NA, Schuijf JD, Schalij MJ and Bax JJ. EuroIntervention. 2010;6:643-652. Abnormal cardiac contractility in long-term exogenous subclinical hyperthyroid patients as demonstrated by two-dimensional echocardiography speckle tracking imaging. Abdulrahman RM, Delgado V, Ng AC, Ewe SH, Bertini M, Holman ER, Hovens GC, Pereira AM, Romijn JA, Bax JJ and Smit JW. Eur J Endocrinol. 2010;163:435-41. Echocardiography and non-invasive imaging in cardiac resynchronization therapy. Delgado V, Mooyaart EA, Ng AC, Auger D, Bertini M, van Bommel RJ, Yiu KH, Ewe SH, Witkowski TG, Marsan NA, Schuijf JD, van der Wall EE, Schalij MJ and Bax JJ. Minerva Cardioangiol. 2010;58:313. Hepatotocellular carcinoma - a rare complication post Fontan operation. Ewe SH and Tan JL. Congenit Heart Dis. 2009;4:103.